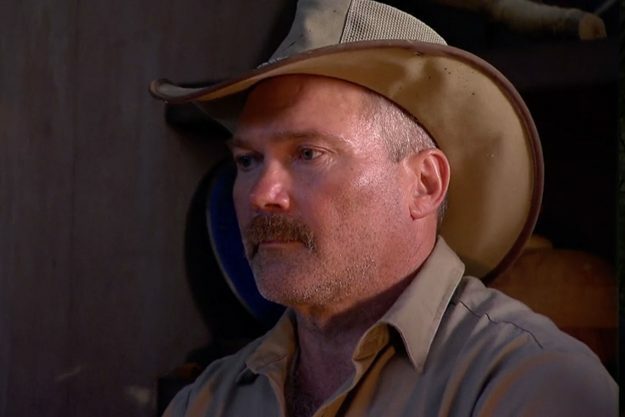 Let’s face it, the only real celebrity in I’m A Celeb is Kiosk Keith, the stoic man of many mysteries. He’s a brooding hunk of a man, doling out treats as he sees fit – a law unto himself, a true Australian hero. Fans last night were incensed when Keith’s absence was revealed, due to sickness, revealing just how much people really do love their silent Aussie merchant. The guy can’t be making good money, I mean, there are only punters for his kiosk three weeks of the year, but that’s beside the point. When Keith’s spot was replaced for the night with Kiosk Kath, fans weren’t happy and they took to the echo chamber of Twitter to make sure people knew about it. 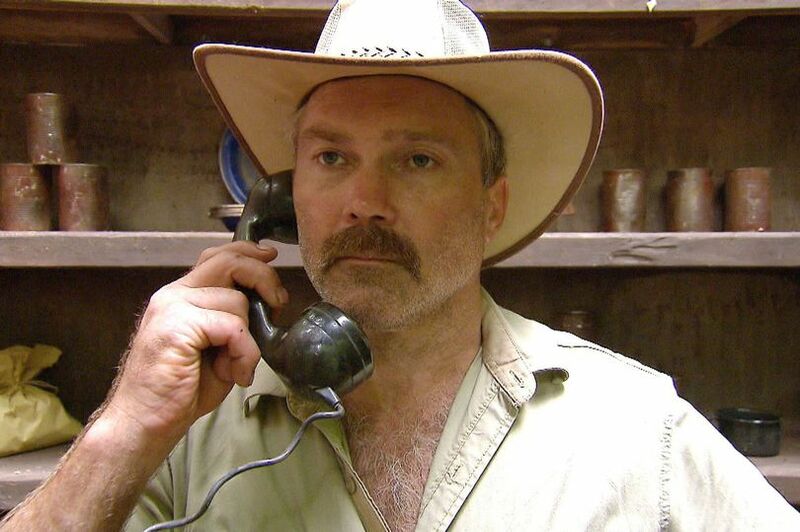 @imacelebrity I’ve got a question I’ve always wanted answered; why oh why don’t we ever SEE Kiosk Keith speak??? We see him, we hear him BUT WE NEVER SEE HIM SPEAK! ? Nobody has ever seen Keith speak on camera and have only heard his dulcet tones over the phone, so how do we even know it’s even his voice?! We might never know why Keith doesn’t speak on camera? He’s a mystery – an enigma. Fans have been dissecting the show in even greater scrutiny this year, so much so they’ve noticed a secret message from some of the campmates to the outside world. Eagle-eyed viewers noticed Rebekah, who’s married to Leicester City and England striker Jamie Vardy, along with ex-Chelsea midfielder Dennis Wise, secretly communicating with their loved ones whenever they appeared on camera. Despite the strict ‘no communication with the outside world’ rule the two celebrity contestants found a way to speak to their families. Viewers spotted charcoal writing on 35-year-old Rebekah’s hat – a heart and the letter ‘U’, which obviously stands for ‘I love you’ and seemingly, a message to her husband. Meanwhile 50-year-old Wise, is using clever hand gestures to send his love to his friends and family – the former Chelsea enforcer places his right hand over his heart whenever I’m A Celebrity hosts Ant & Dec mention his name. He keeps it there while the Geordie duo are talking to him and occasionally taps his chest with his fingers. You may have noticed Ant & Dec seem to pick on Dennis mercilessly, a particular target is his small stature, which is a bit rich because Dec isn’t exactly Mr Tall himself. However, viewers have come up with a reason why the iconic duo keep teasing him, it all stems from their loyalty to their beloved Newcastle United – both are die-hard Magpies and Wise was at one point, director of football for the club, an appointment which was not well received by the local fans. You catch the latest episode of I’m A Celebrity tonight on ITV at 9PM. JUNGLE MYSTERY I’m A Celebrity fans have noticed this one mind-blowing thing about Kiosk Keith – but have you?